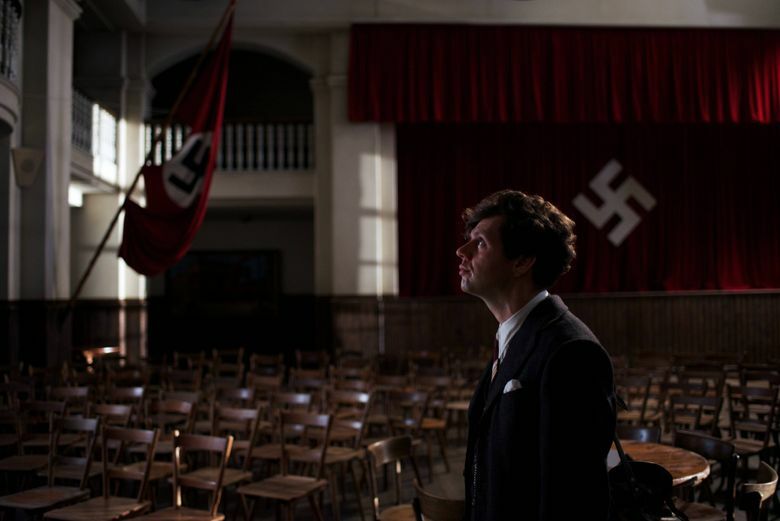 This somber German-language drama, based on actual events, is the story of a principled man’s doomed plot to assassinate Adolf Hitler. Rating: 3.5 stars out of 4. Picked up by a random patrol for behaving in a suspicious manner, he’s already in police custody when the homemade time bomb he planted in a Munich beer hall explodes on the evening of Nov. 6, 1939, 13 minutes after Adolf Hitler departs the site after unexpectedly cutting short a speech he was giving there. With drawings found on his person linking him to the device and the assassination plot the Nazis weren’t even aware of until the blast, Elser’s fate is sealed. ‘13 Minutes,’ with Christian Friedel, Katharina Schüttler, Burghart Klaussner, Johann von Bulow. Directed by Oliver Hirschbiegel, from a screenplay by Leonie Claire Breinersdorfer and Fred Breinersdorfer 110 minutes. Rated R for disturbing violence and some sexuality. In German, with English subtitles. Opens Aug. 11 at the Varsity. 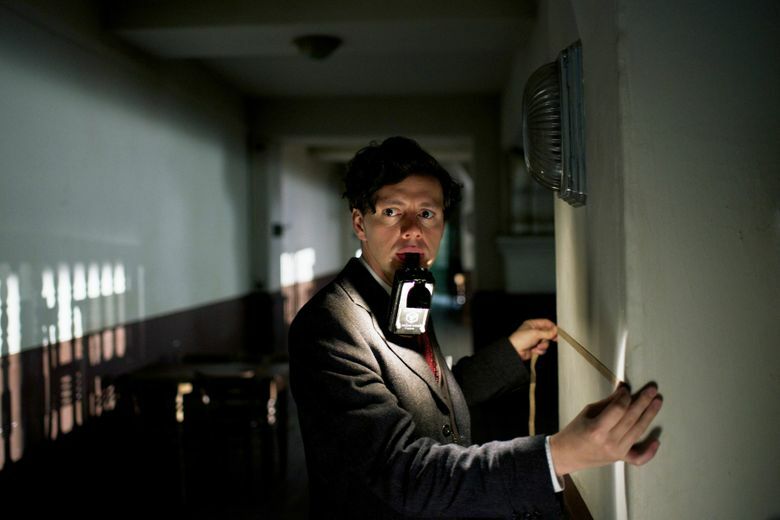 What follows in director Oliver Hirschbiegel’s gripping, somber German-language drama based on actual events is a detailed re-creation of Elser’s interrogation and grotesque tortures by the Gestapo and, via flashbacks, the gradual evolution of a man of conscience who sees horror developing in his country and takes action to try to stop it. Elser acts alone. That fact drives the agents of his torment, up to and including Hitler himself, mad with rage. How could a seemingly ordinary German working man, unaided, hatch such a plot and construct such a sophisticated bomb? They use every sadistic method at their disposal to break him and force him to confess and implicate others. He defies them and insists on the justness of his act regardless of what is thrown at him. The flashbacks, artfully threaded through “13 Hours” by Hirschbiegel (who previously directed 2004’s “Downfall” about Hitler’s final days in his Berlin bunker), reveal how a seemingly happy-go-lucky lady’s man experiences a moral awakening as he perceives the society around him growing ever more toxic. The early scenes are sunny, but the picture’s color palette darkens as the years pass. As Elser, Friedel is very relatable. The character is certainly no saint, being involved in an affair with a married woman (Katharina Schüttler) at the same time he’s developing his plot. But he’s very careful to keep her in the dark about his activities to shield her from possible retribution if he’s found out. Freidel illuminates the inner struggle Elser goes through as, buttressed by his conscience and his Catholic faith, he finds within himself a strength of character and brave defiance that defines him as a hero in the truest sense of the word.